Cape Town boasts two botanical gardens, one in Kirstenbosch and the other in Betty's bay on Clarence Drive (Route 44) the coastal route between Betty's Bay and Gordon's bay. The drive along the very scenic False Bay coastline takes you past Rooi Els and Pringle bay before reaching Betty's bay. 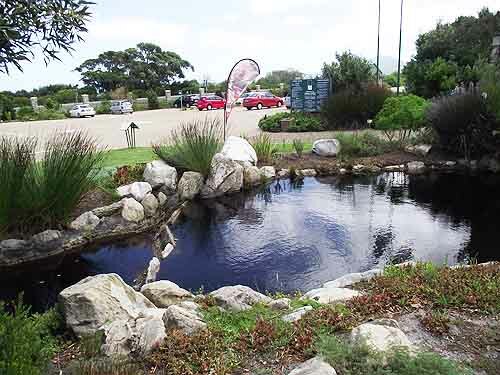 The Harold Porter Botanical Garden situated on the mountain slopes above Betty's Bay lies snugly between mountains and sea in the midst of the Cape Fynbos region within the Kogelberg Biosphere Reserve of the Western Cape. The garden has more than 1600 species of plants in its 190 hectares of sweeping mountain slopes, deep gorges and coastal plain. 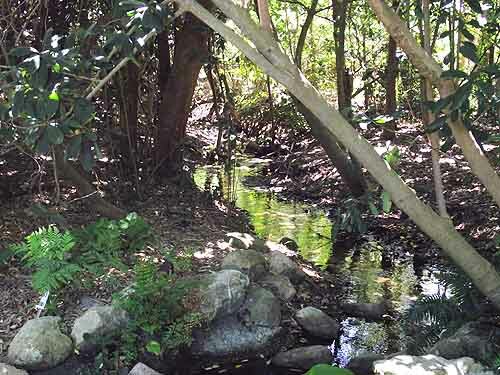 Included in the garden are four vegetation types that occur naturally in the Overberg. 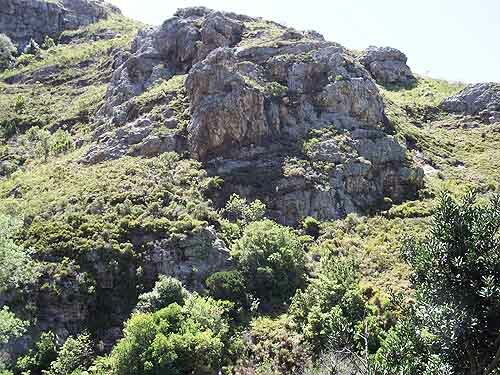 They are afro montane forests, wetlands, coastal dunes and fynbos. 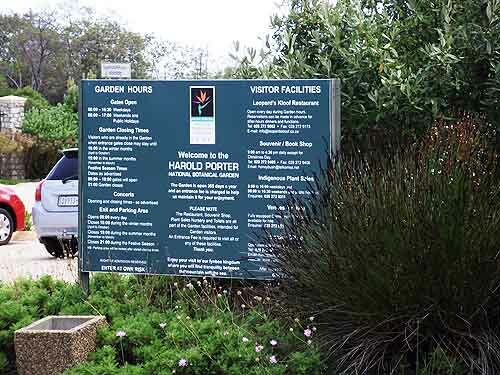 The Harold Porter Gardens has 10 hectares of cultivated gardens which include a display of Cape Fynbos which is made up Proteas, Ericas, Restios and leucadendrons. 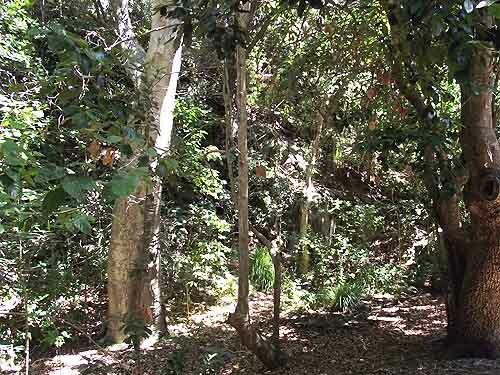 Pathways and bridges have been built throughout the gardens and up into the gorges known as Disa and Leopard's Kloof where leopards are spotted from time to time. The pathways wind along the river banks and through the afro montane forests growing in the gorges eventually ending at waterfalls that drop down the steep cliff faces of the gorges into the rivers below. 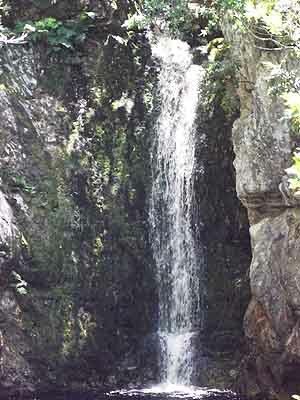 From the base of the waterfalls the slow flowing rivers meander down through the gardens and form the lakes and ponds found in and around the gardens. 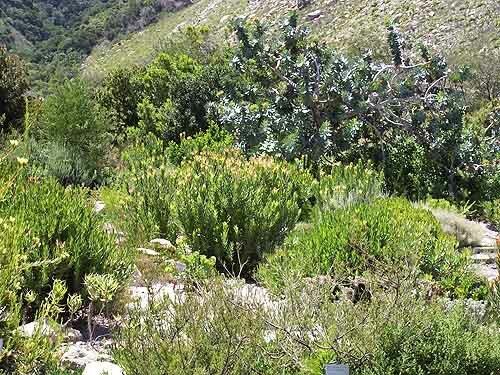 A mountain walk through the fynbos has been established to show visitors the large variety of fynbos species growing in the garden. 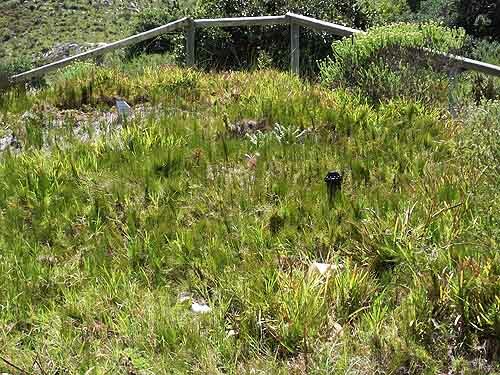 There are also a number of displays in the garden, the first being the coastal dunes where the base of the display is dune sand and where various grasses have been planted.The khoisan display includes many of the medicinal plants used by the khoi when they lived in the region way back in the 1600's. Other than the leopards mentioned earlier, the garden also boasts a number of animals that utilise the area. Baboons which are the natural prey of the leopard are one of the more dangerous animals in the garden as well as eels and water snakes in the rivers. Porcupines, genets, mongooses, otters, dassies are just some of the other animals that inhabit the gardens. There are more than 60 species of bird that visit the gardens including the small Cape Sugarbird and the orange breasted sunbird. Larger birds are the guinea fowl,Cape Eagle-Owl, turtle doves and pigeons to name a few. Walking through the garden keep your eyes and ears open and you are likely to spot a whole lot more birds. The cultivated gardens are laid out in such a way that one can picnic on the lawns between the beds and in the shade of the forest trees that grow in the gardens. Benches have been placed in shady spots under trees and next to rivers and lakes to allow visitors to sit and relax and drink in the beauty of nature in the garden. 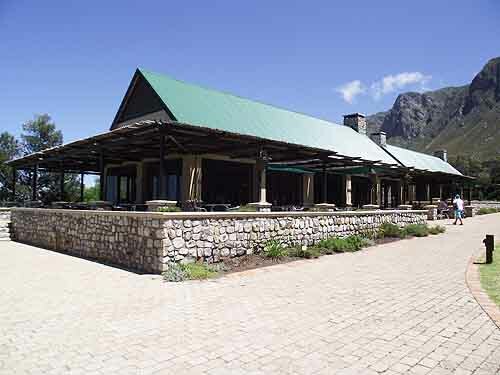 For those who have travelled longer distances to get to the gardens and are hungry or thirsty a beautiful restaurant has been built which offers light meals, teas and drinks. Prices are reasonable and the staff very friendly and helpful. The gardens also boast a small book and curio shop where one can buy gifts and souvenirs. For those looking for indigenous plants a small nursery has been established where one can obtain that plant you cannot find anywhere else. 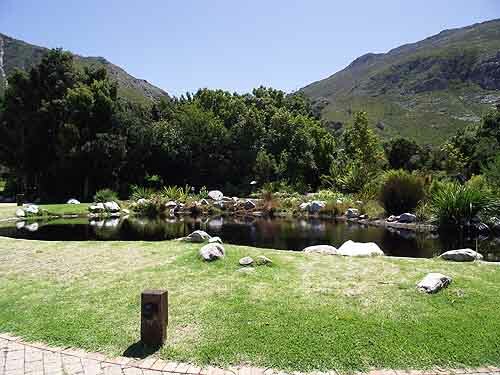 To make these gardens even more attractive to visitors the entrance fees have been kept low. The price for adults is R18.00 and for pensioners over 60, R10.00 and on the first Tuesday of every month entrance is free. Other categories of prices go downhill from here. Prices are subject to change without warning so please check with the Harold Porter Botanical Garden for its current prices. These gardens are well worth a visit. For visitors from abroad these gardens might be a little out of the way if you don't have your own transport. That's easily solved by hiring a car. You cannot miss the whales which abound on this coastline during the whale season and at ther same time visit the gardens.